In the steroid case against Alex Rodriguez, there were two competing versions of reality. Rodriguez claimed that his historic numbers were the result of his enormous natural talents. MLB said that Rodriguez had been among the worst ongoing violators of its performance-enhancing drug policy. Privately, some officials told me they wouldn’t be surprised if he’d been using PEDs since high school. On Saturday an arbitrator sided with MLB, banning Rodriguez for the entire 2014 season, taking away one of the few productive baseball years he has left — he is 38. Rodriguez’s attorney, Joe Tacopina, called the decision “a joke,” though his legal team had expected the ruling to go against their client; in fact, they expected MLB’s even harsher original ban of 211 games to be upheld. Even so, the 167-game suspension (plus whatever games the Yankees play in the postseason, should they make it there) is the longest in the history of baseball. Rodriguez issued a fiery statement maintaining his innocence, vowing to fight on in court. The history of such cases suggests that he is unlikely to find satisfaction there. In the end, arbitrator Fredric Horowitz chose to believe the only real witness against Rodriguez — the fake “doctor,” Tony Bosch, who testified that he was Rodriguez’s dealer. Rodriguez had promised to take the stand in the secret proceedings, but stormed out in a fury the day before he was scheduled to testify, after learning that MLB commissioner Bud Selig would not testify. And so Rodriguez’s defense relied almost entirely on trying to impugn the character and credibility of Bosch. There was a lot to work with. Bosch after all was demonstrably a liar: He presented himself as a licensed doctor, though he’d never applied for one. He was a deadbeat dad, sued by both his previous wives for child support. He was a great talker who liked the high life and, as a result, was constantly in debt. Rodriguez’s lawyers also alleged that he was a cocaine user. Although Rodriguez hadn’t failed a drug test, this strategy didn’t work. MLB had Blackberry messages between Bosch and Rodriguez which showed that the “doctor” was delivering something to Rodriguez on a regular basis, often before games. At one point, Bosch referred to his packages as “medicine.” Rodriguez quickly corrected him. “Food,” he said. Bosch testified that, no matter what they called it, he was supplying banned substances, including testosterone. And Horowitz agreed. The Yankees will be relieved to finally get a decision. 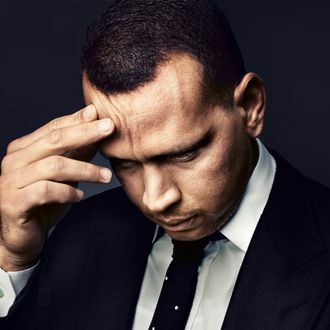 Any affection between A-Rod and his team had long ago disappeared — he is also suing the Yankees’ team doctor, Chris Ahmad, over what he claims was a misdiagnosed hip injury during the 2012 playoffs. The Yankees claim they were oblivious to their star’s transgressions, though the steroid usage seemed accepted as a source of banter — see team president Randy Levine’s half-joking references to steroids and “the liquid” in his own emails with A-Rod. For them, “it was all about money,” as a source familiar with the A-Rod-Yankees scrap said. Rodriguez is the highest paid player in the history of the game, and his ban will save the team more than $25 million in compensation next year, free up money for another big acquisition, and make it easier to avoid the luxury tax. There are few winners here. MLB prevailed in the end, and the arbitrator’s decision allows Commissioner Selig to burnish his legacy by claiming that he cleaned up the game. But the Rodriguez case is one more bit of evidence that one of baseball’s time-honored traditions is seeking an edge through drugs, and that tradition was firmly entrenched during Selig’s two-decade reign. The biggest loser, though, is Alex Rodriguez. One of the most storied players in the history of the game will forever have an asterisk next to his achievements. Along with Lance Armstrong, he is now the face of cheating in sports.